If it is possible, I have to say I may have too many hobbies which I love. Two which give me much pleasure are photography and painting. I have taken thousands of photographs over the last few years, and painting, well, not so much. 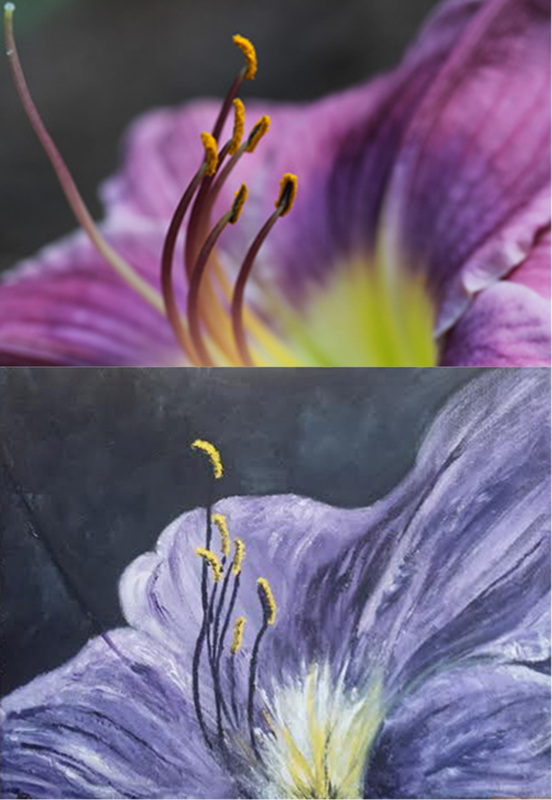 But recently, when I got out those tubes of paint again after a too-long sabbatical, I could not resist painting a lily, inspired from a photograph of one of the purple beauties growing in my garden last summer. There are those who feel that painting from a photograph is ‘taboo’, but while there is snow on the ground here, I still remembered the feeling of viewing that lily in all its splendor!